The excited fans rejoiced the return of the iconic team, who has grabbed the prestigious IPL trophy on two previous occasions. Yesterday was a big day for all the Chennai Super Kings supporters over the world as 14th July marked the end of the team’s two-year ban from the lucrative Indian Premier League. The men in yellow are set to feature in the tournament from the next year and the celebrations could not have been simple. The excited fans rejoiced the return of the iconic team, who has grabbed the prestigious IPL trophy on two previous occasions. The team has been a phenomenon since its birth and they had a better record than any other team in the IPL until the Mumbai Indians won it for the 3rd time this year. 2-time champions, 4 times runner up and featured in all the qualifiers, the warriors from the south never failed to cross the group stages of the IPL. Chennai Super Kings have not only conquered the IPL but has also ruled the world T20 scene. 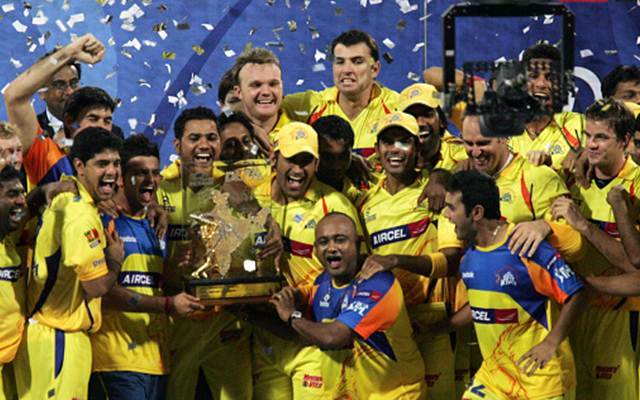 The team won their first Champions League Twenty20 title in the year of 2010 and took the tally to two in 2014. Members of the Board of Control for Cricket in India (BCCI) also welcomed the return of the IPL giants after the completion of their 2-year suspension. Apart from the CSK, the Rajasthan Royals also made a comeback to the Indian Premier League after being suspended along with the Super Kings. The official Facebook page of the Chennai Super Kings announced their return with a beautiful post. A photo was posted on the page which summarised the sensational journey of the yellow brigade since the inaugural season, in a few words. It had all the memorable moments that captain Mahendra Singh Dhoni and his team gave us, making us nostalgic while reading the post. However, it will be a treat for the Indian cricket fans to see Chennai Super Kings perform in the IPL once again, and the icing on the cake will be if the franchise manages to get back the iconic MS Dhoni as their skipper.